Evilon hail from Sweden. The band has been around for some time, but only found a steady lineup in 2016. With that settled, the guys started to record their first full-length, Leviathan, which as released on 28th of September 2018 – let’s give it a spin! Opening track Eye of the Storm is exactly that – sucking you, as a listener, right into a mix of folk and death metal, with some delicious growls. Title track Leviathan has some Amon Amarth-influences and stomps on heavily. Souldrainer and Serpent’s Eye are shorter, very powerful tracks. Yet another page is turned on King of a Thousand Suns, which stomps along very nicely while borrowing some compositions of Amorphis. In the Shadow of my Grief starts off with clean singing – making this track more melodic than the previous ones, but the interspersing riffs add some heaviness to it. Welcome Home has some doom influences interspersed with heavy riffs, before my favorite track, The Sacred, comes up. This is one gorgeous mix between clean vocals and growls, encompassed by an awesome, very uplifting composition in the background. Closing track When the Leaves are Falling is rather brutal with deep growls, sucking you in with its dark atmosphere. A perfect closure for this album. In conclusion: yes, I really like this album. 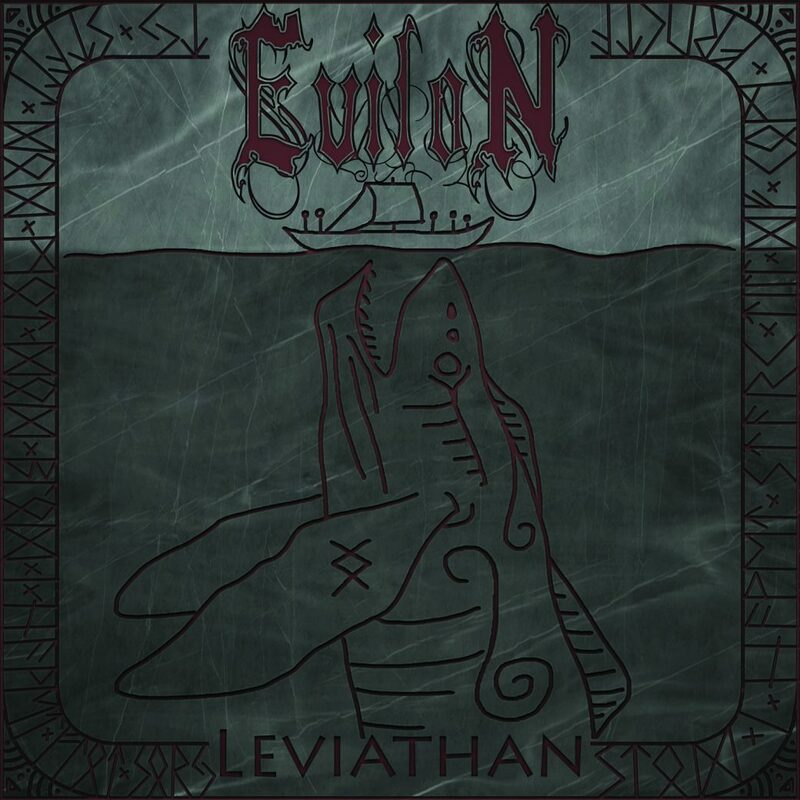 It incorporates many genres and styles, which easily could turn out to be a mess – but to me, Leviathan has the perfect combination of melodic and heavy, between folk and death. Production’s great, too, so go ahead and give this one a go, you won’t regret it! 10/10.